Wits hockey player may have a chance to shine in Spain and Japan. 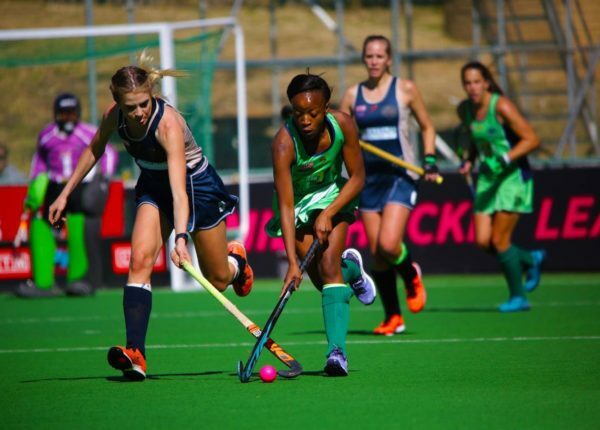 Third-year BA student Nomnikelo “Nicky” Veto has been selected as part of the 26-player squad for the South African Women’s hockey team, which will take part in the Olympic qualifier in Tokyo in June 2020. In preparation for the qualifier, the team will first play in Valencia, Spain in the International Hockey Federation Open Series in June. Veto, who started playing hockey in grade three, is now playing in the Wits University’s first team hockey coached by former South African hockey player Pietie Coetzee-Turner. “I’m really excited to be part of this side because it’s been my dream to represent my country at an international level,” Veto said. The official team will be announced in May, and Veto is hopeful that she will make the cut: “Should I make the squad, I hope to grow as a player and get better with each game I play”. She made her Wits Hockey debut in 2016 for the U21 team during the Junior African Cup of Nations in Namibia. Some of the challenges Veto has faced include the disappointment of not making one of the provincial teams, as well as the expense of the hockey tours to different places. On mental strength, Veto admitted that it had been a difficult challenge, but the love and passion for the game kept her going and playing. Former Wits hockey teammate, Luché Klaasen praised Veto as a “very talented hockey player who has improved tremendously over the years”. Veto says she hopes to play in the Olympic Games, the Hockey World Cup as well as club hockey abroad. However, her main goal is “importantly to always enjoy playing”. Wits Vuvuzela, Witsie will be cheering her way to the USA, March 25, 2019.